This past Friday I met some friends for lunch at Fred’s, a great little cafe on the top floor of Barney’s in Chicago. Everywhere you looked it was the creme de la creme of Chicago’s best dressed. 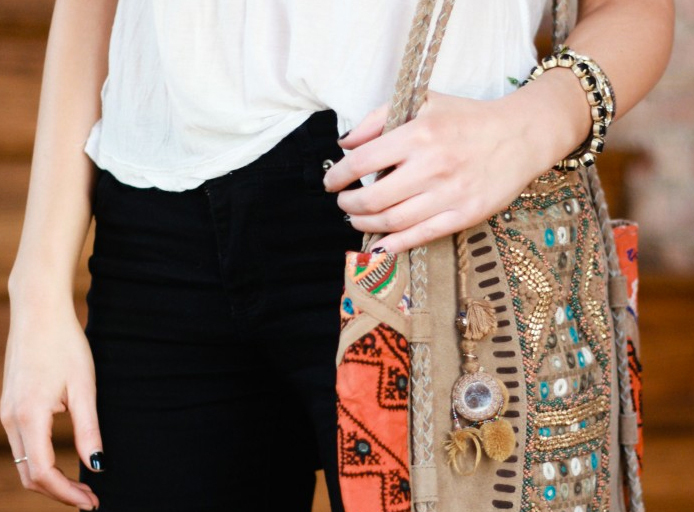 For this kind of occasion you need a statement bag. I could have opted for my standard Emporio Armani bag that I usually carry, however, I decided to go with my new Free People tote instead. Not really in the price range of bags you generally see on the arms of women at Barney’s but made just as much if not more of an impression if I do say so myself. I think I am officially obsessed with this new tote. Like maybe my favorite bag ever (considering bags usually totally bore me to death). I will say though, one of my girlfriends, Jaclyn, wore her new Alex Wang bag, and I admittedly almost started drooling. Maybe I am turning a new bag leaf. Totally love your style! That bag is so amazing! Love the details. You look great in that hat! Free People has the coolest stuff. I recently discovered Zara (online) I live out in the sticks so we do not have a Zara nearby. 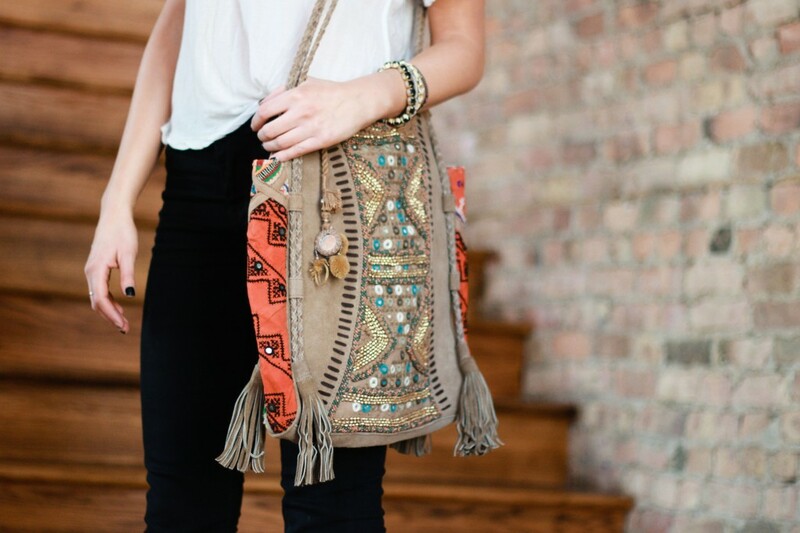 The bag is wonderful – I love the way the hat picks up the “wanderer” look of the bag. Wow, those sounds soooo neat. You are inspiring me!